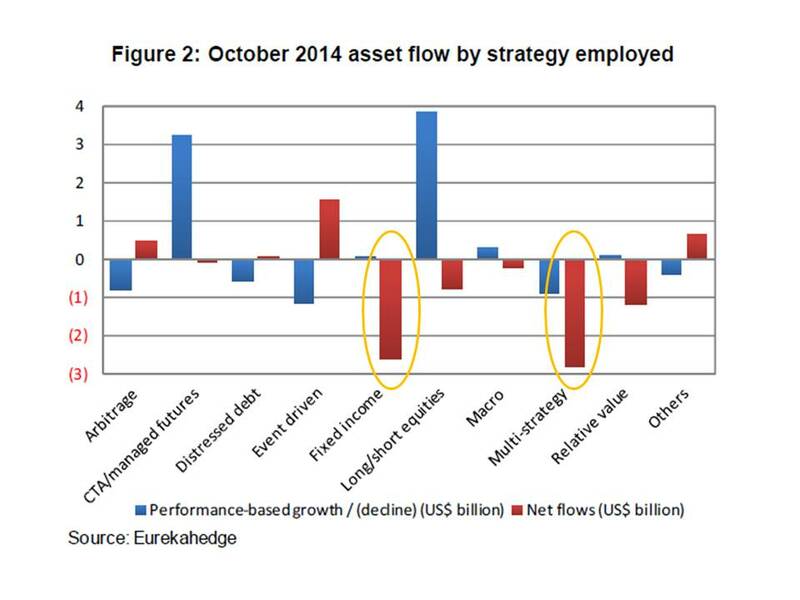 The latest flow data from Eurekahedge for the hedge fund industry show net outflows from Europe-focused hedge funds. Only two investment strategies could possibly accommodate the scale of monthly redemptions from European funds – fixed income and multi-strategy (Table 1/Figure 2). 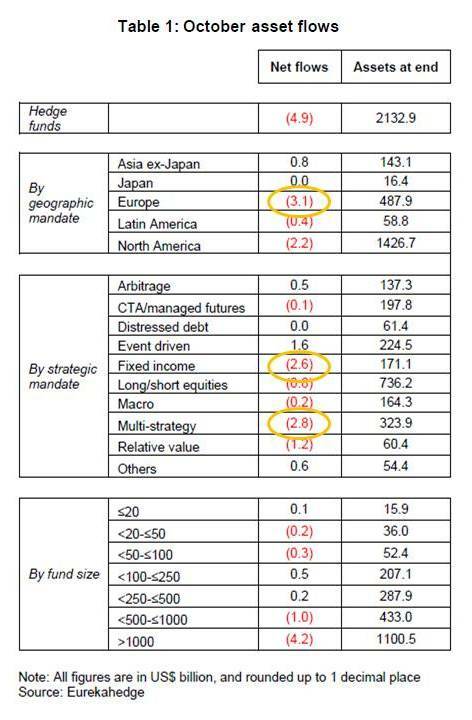 So it is highly likely that the biggest outflows in October were in European-focused fixed income and multi-strategy hedge funds invested in Europe. Of course the flows do not happen in isolation. Typically the largest flows are seen to strategies that have done best over the previous 6-9 months. Figure 3 shows that returns this year from European hedge funds have been disappointing in an absolute sense, and against returns from hedge funds invested elsewhere. The aggregated return of European funds have been as low as 0.6% this year (to the end of October), compared with a 5.08% for hedge funds with a North American mandate, and 7.44% for funds invested in Asia ex-Japan. 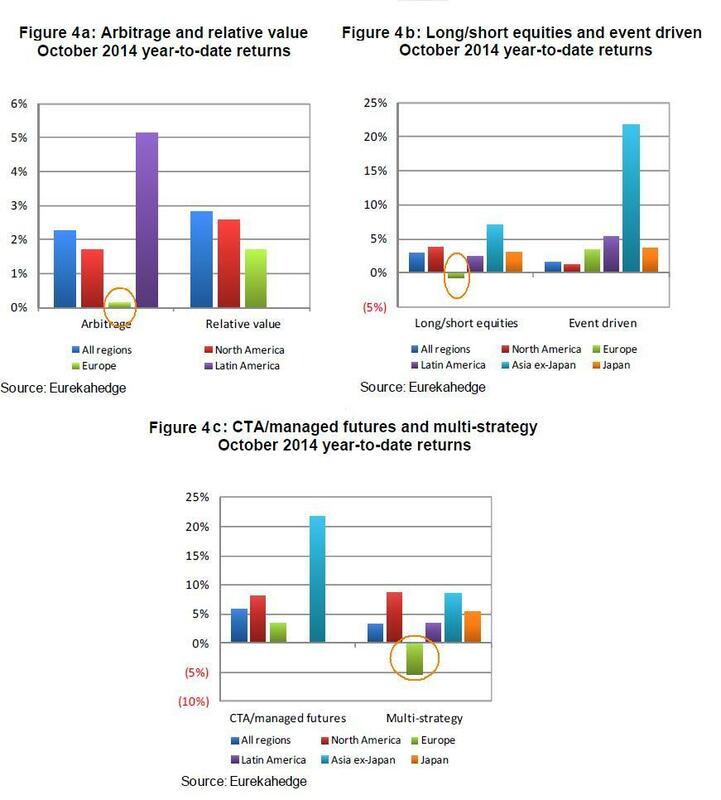 Figure 4 shows strategy level returns for various hedge fund strategies disaggregated to the geographical region of investment. It is clear that there have been disappointing returns this year from European-focused hedge funds across a number of strategies. European arbitrage funds have barely made money this year. European long/short equity funds have lost a little money. But the European investment strategy that has stood out for the wrong reasons this year has been multi-strategy investing. Having lost 6% in the last two months multi-strategy funds investing in Europe are down 5.42% for the year to end-October. In the interests of balance it has to be pointed out that the small number of distressed debt funds that focus on Europe have had a very good year despite losing money in October. YTD they are up 12.77% compared to 1.72% for distressed funds in general, according to Eurekahedge data. Returns from hedge funds focused on Europe, including big names like Brevan Howard, have to show much better returns in the next 6-9 months to stop the minor outflow of October turning into a string of monthly redemptions. 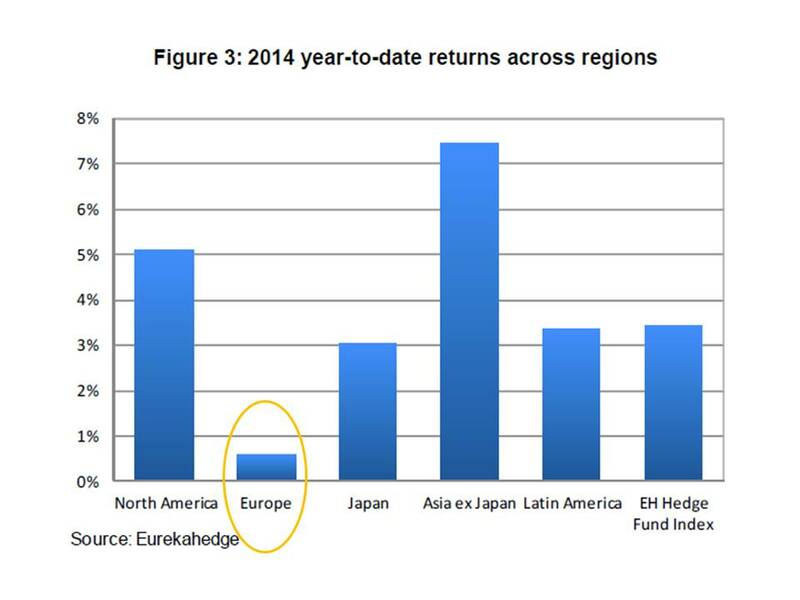 NOTE: Hedge Fund Intelligence data shows European Multi-Strategy as having delivered a YTD return of +0.99%.